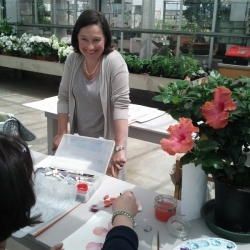 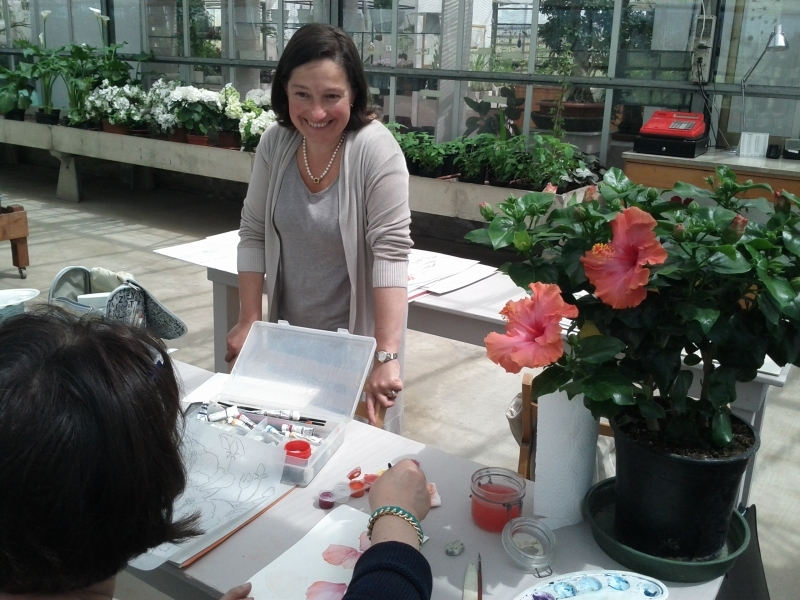 Botanical painting is a delicate balance between art and science. 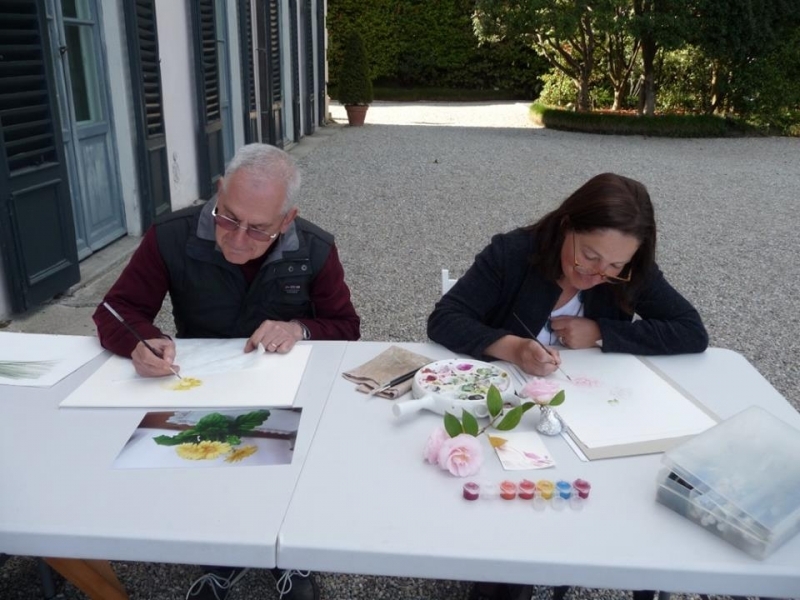 The love for nature, an extreme attention to detail, a particular pictorial sensibility are the indispensable characteristics of a botanical painter. 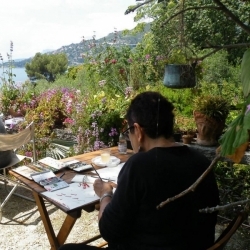 Each work is the result of a studied preparation, a slow and thoughtful execution, following a careful and passionate observation of the specimen to be portrayed, in all its details, especially those that often escape a distracted look and that characterise the uniqueness of that particular plant determining, at the same time, the uniqueness of the pictorial work. 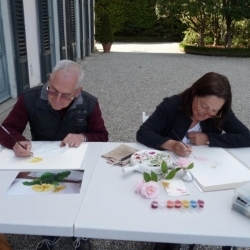 This meticulous art has now more than ever the aim of transmitting through the language of art, a greater interest and love for nature exposed to a reckless exploitation. 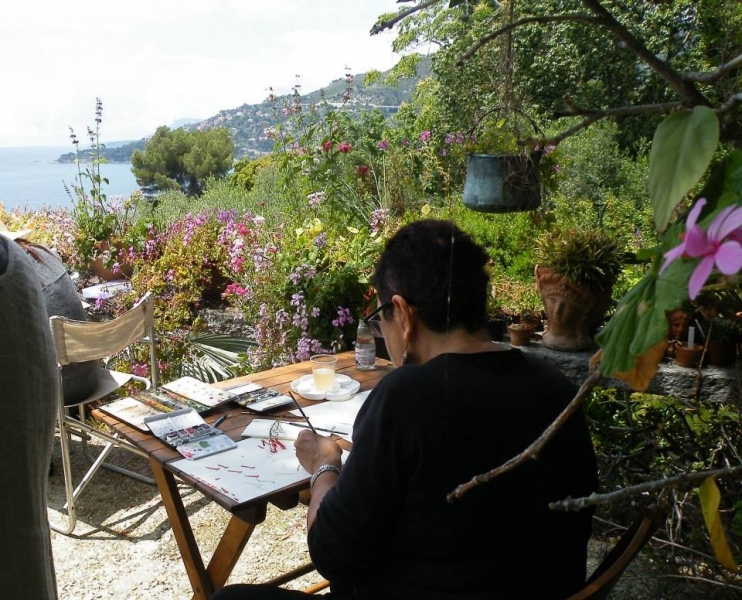 With my works I try to convey the emotions captured with the mind and the heart. 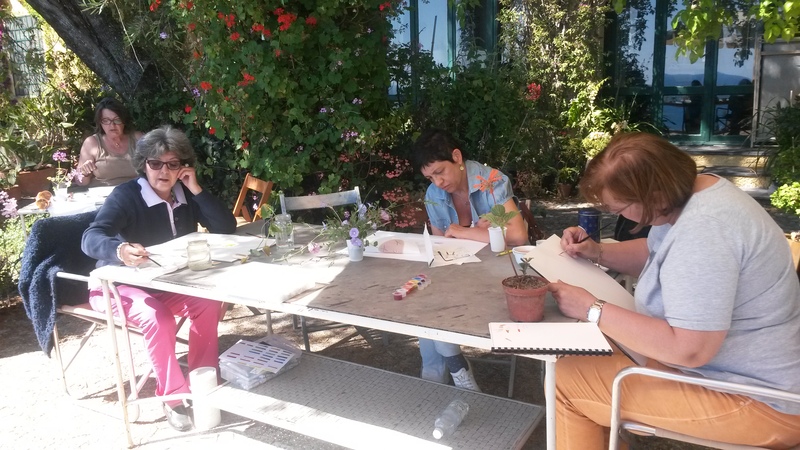 With my courses I have the pleasure of sharing these emotions with other people like me who have artistic sensitivity, respect and love for nature. 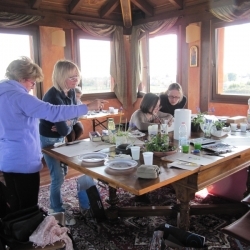 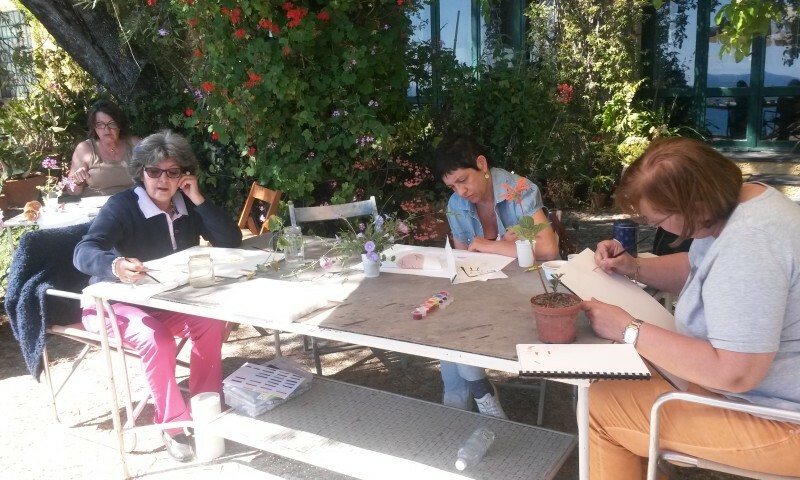 “Mediterranean plants” Two days of botanical art workshop in a wonderful garden by the sea, where the participants, guided by the owner, will be able to collect the flowers to be painted. 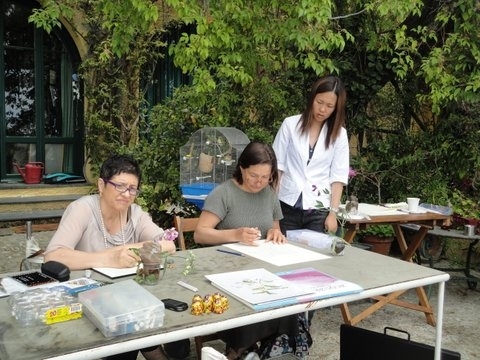 You will learn how to draw plants accurately by observing basic botanical shapes and structures and illustrating them with botanical accuracy, focusing on developing your ability to see light and shade, mix colors and to use watercolor wet on wet and than with dry brush to make your painting life-like. 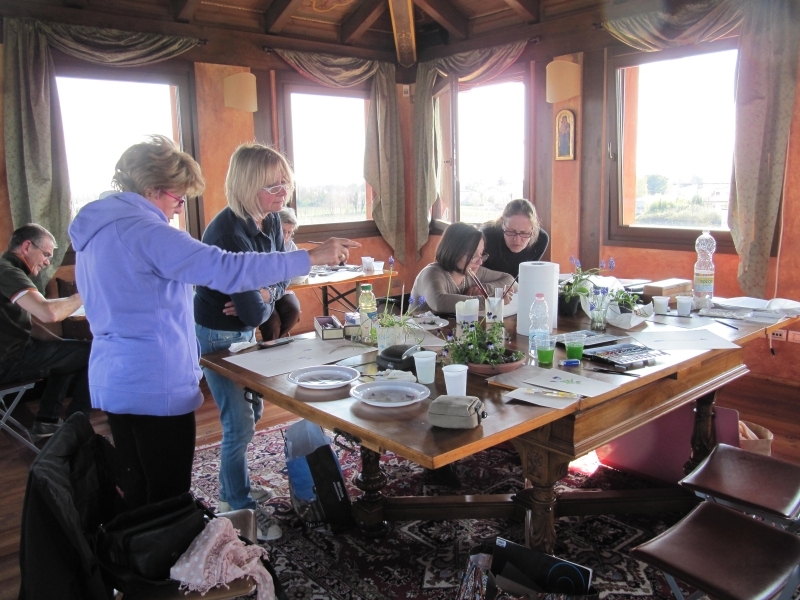 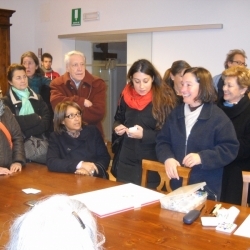 “Ritratti nell’Orto”– In a historical place, two days botanical art workshop, painting salads with the GM artist Silvana Rava. 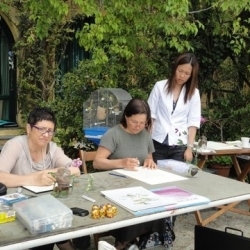 This workshop is aimed to show you the basic techniques of watercolour used in botanical illustrations. 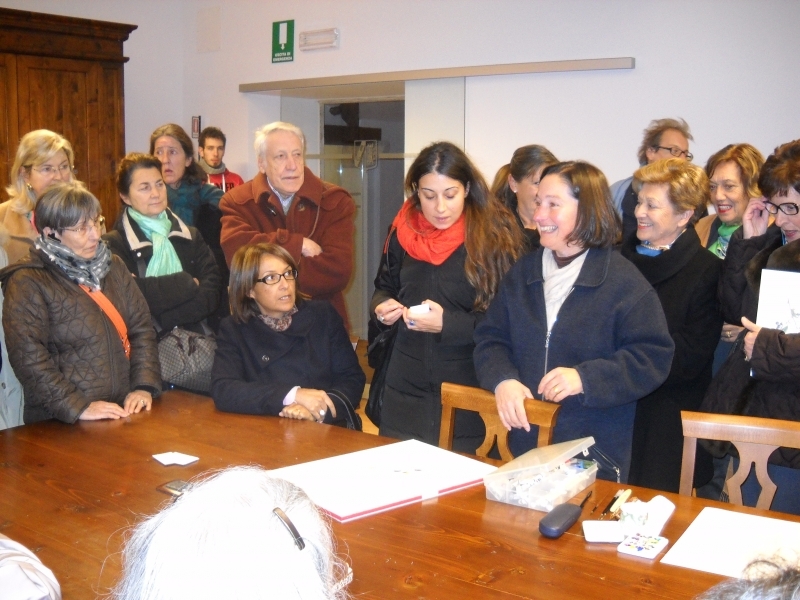 Some photos of my courses, students, and their work.